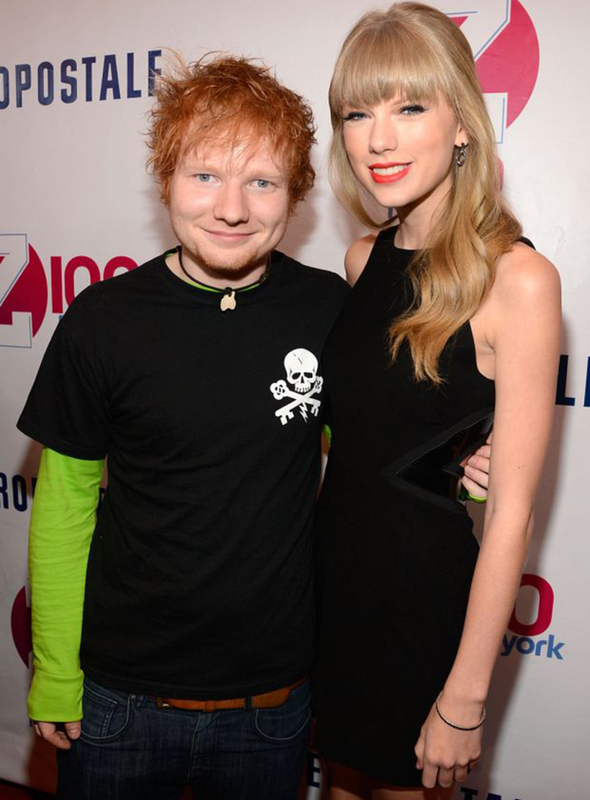 It has been reported that Taylor and Ed Sheeran first got together last year before splitting to focus on their music, but have rekindled their romance following Taylor's split from Ed's pal Harry Styles.They are said to have spent the night together before the Brits. Taylor first started dating singer Joe Jonas in 2008 although they refused to confirm their relationship for a while. He broke up with her over the phone and she wrote the song Forever Always about him. She met Taylor Lautner on the set of the film Valentine's Day in 2009 but the relationship only lasted a few months. It's believed that the Twilight hunk was more interested in her than she was in him - maybe she didn't want to be a Taylor going out with a Taylor. It's thought that her song Back to December is an apology to him. They duetted on Half of My Heart in 2009 and soon her relationship with womaniser John Mayer had blossomed. But it was over by the beginning of the following year and - you can guess what happened - she wrote a song about him called Dear John. The singer later said he was humiliated by the song and that it was a "lousy thing for her to do." They had a short romance in 2010 and only dated for three months before Jake Gyllenhaal dumped her, allegedly by text message. It's believed that Jake was not happy with all the publicity that their relationship was getting and that he felt that the age difference (she was then 21; he was 30) was too great. She was linked in n 2010 with Cory Monteith after they were spotted hugging in a bowling alley and on several dinner dates. They neither confirmed or denied the rumours but it obviously came to nothing as the actor is now dating his Glee star, Lea Michelle. What a name. What a pair of guns. Rumours of a romance between Tim Tebow the Denver Broncos quarterback and the singer began last year when he was seen chatting her up at a pre-Oscars bash and they had dinner together the following night. 2010 was a busy year for Taylor. She was also linked to British actor Toby Hemingway, who starred in the video for her song Mine. They were spotted on a series of dates. It was believed that she and Patrick Schwarzenegger were an item when they were spotted celebrating the Fourth of July last year. Patrick, who is the son of Arnold Schwarzenegger and Maria Shriver, tweeted that he'd had the best day ever. Taylor is friends with the Kennedy Clan so it was no surprise when she started dating Conor who is Robert Kennedy's grandson. They hung out in Hyannis Port all this summer but it ended when he went to college. It was an accelerated romance for her and Harry Styles, who started dating last September. She took him on her private plane; he brought her to meet the family. But then it ended, badly. Apparently a holiday together to the British Virgin Islands caused it all to end in a huge row.